Why would you put in the time, money, and energy to produce a book or offer and then just give it away for free on your law firm’s website? We get this question a lot. Free offers account for around 35 percent of contacts for our clients. More than 25,000 offers are downloaded from our clients’ sites each year. It may seem counterintuitive, but offering your potential clients something for free up front can have a positive effect on your law firm in the long run—and we’ve seen it happen. Books build your credibility and make you stand out. Books are a big “trust signal” that build your credibility and authority. They establish you as an expert in your field, cement you as a credible source of information, and make you stand out from your competitors. People will feel like they can trust what you have to say if they see you’ve already written the book on the subject and care enough to give it away for free! Books and offers bring in more targeted traffic. A free book is a unique way of reaching out to your website visitors. You can use a book or free offer to really catch the attention of a targeted segment of your “perfect clients” or push growth in one of your practice areas. A targeted book or free offer is also great “bait” for the ideal clients who see your ads, read your emails, or visit your blog because it offers them something of value that focuses on their unique needs. Check out our Practice Expansion Campaigns to get an idea of how this works! Free downloads let you gather contact information and follow up with your audience. If you’re an FWM client, you can automatically collect contact information from people downloading your book and add them to your contact list and follow-up campaigns in DSS. These can be great leads because they are often already in the “research phase” with their legal issue and motivated enough to request information from you. Books and offers educate your potential clients. Books, guides, and other free offers can educate your potential clients about their issues and help them understand what you do. You can use your book to debunk common myths, ease fears, answer common questions, or explain complex concepts in simple language. Your readers get relevant information about their issues that they can’t get anywhere else and remember you for it. Books and offers prepare your potential clients for their first meeting with you. Your book or offer is also an introduction to you and your law firm. Free offers help “break the ice,” and they let your potential clients know what to expect when they do decide to meet with you in person. Ultimately, that saves time, provides a better client experience, and makes your job easier. Free offers are a compelling call to action. One of our favorite conversion tools is offering readers a free, downloadable e-book or guide. Books and free offers are an effective call to action because everyone loves getting something for free, and they help convert visitors that aren’t necessarily ready to act right now. Requesting a book gives first-time visitors a chance to make contact with you and get answers, without having to take a huge step immediately—and they walk away from your website with something of value to remember you by. Books are good “bait” for healthy backlinks. Books are great for getting links. Having a large amount of specific, accurate, and relevant information in one place—all from an authority on the subject—is a great way to get organic backlinks from other websites. Books can also lead to local or national media interest. Reporters love interviewing published authors and quoting them as experts in their news articles and on television programs. Books reach more people. When you have your own book, you have the opportunity to get in front of a larger audience. You can create a landing page dedicated to your book, and you can contract with Amazon.com and other booksellers to offer it. Free offers and helpful books can also lead to more word-of-mouth referrals and better name recognition. Books provide lasting benefit—for you and your readers. Your potential clients love your books because they can refer back to them or pass them on to others who need information. While we’ve already given eight other reasons for you to love your books, the last reason is maybe the best. Once your book is written, and you’ve laid out the promotion strategy for it, it will keep giving back to you for years to come with very little effort. The bulk of the work for free books—and even other offers, like coloring books, car accident kits, apps, or bumper stickers—is in the beginning. After that, it’s just finding new ways to put that offer in front of the people who need it. 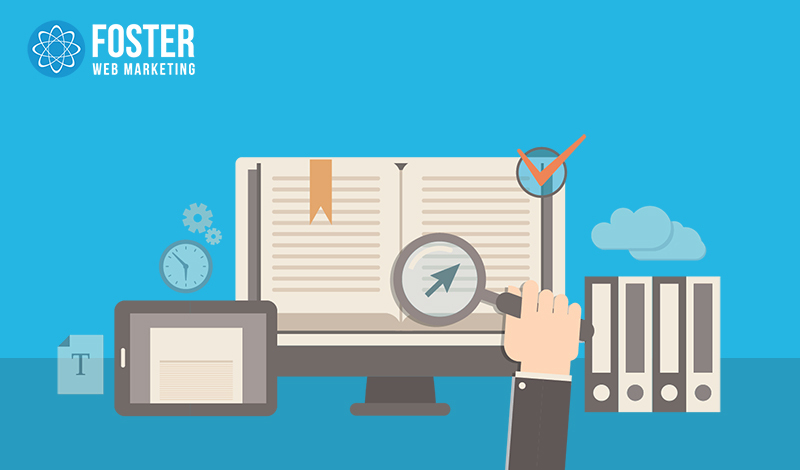 If you’d love to offer a book to your potential clients or referral sources, but don’t have the time to write it yourself, reach out to Foster Web Marketing and ask us about our professional book & whitepaper services. Our content-writing team would be happy to help you produce a book you can be proud to offer. We make sure that your book is written, edited, and formatted effectively while you continue to do what you do best—focus on your clients. We can even help you promote your book, develop a strategy, and build supporting content for your website (see our Practice Expansion Campaigns for the whole package)!